Érablière Tem-Sucre: the 1,001 faces of maple, offers maple in all of its forms to model it into a culinary and gastronomic gems in Quebec and around the globe. Maple products are a crossroad where craftsmanship meets culinary art to transform maple sap—this edible gold—into culinary gems, symbolic of our geographic, gastronomic and cultural particularities. The tale of Quebec is told through these maple products in order to bridge its roots with its boundless creativity. And one of the proud representatives of the continued Quebec tradition of maple products is Érablière Tem-Sucre, in Témiscamingue. Maple vinaigrette, maple butter, granulated maple sugar, maple taffy, maple candy, mini sugar bushes in supermarkets and Bec Cola: these are just a few examples of Tem-Sucre’s commitment and goal to push the creative envelope in order to showcase the 1,001 faces of maple. Érablière Tem-Sucre manufactures maple products using maple sap that is harvested at its sugar bush and at numerous other Témiscamingue sugar bushes. In fact, it is the only business in Témiscamingue that the Fédération des producteurs de sirop d’érable has designated as an “authorized buyer” of maple sap. It creates innovative regional products from maple sap and offers a wide array of processed products made from Témiscamingue’s own maple sap at 300 points of sale. 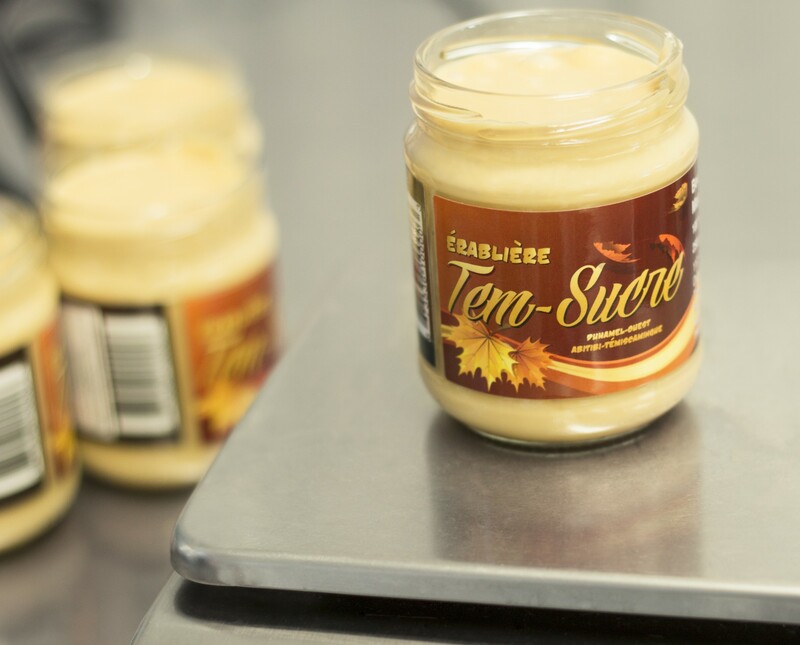 In preserving and respecting the traditions of yesteryear and yet without imposing creative limits to maple products, Tem-Sucre has, over the years, successfully developed innovative processing technologies and leading-edge quality control processes. Result: regional maple products whose quality is a standard in the industry. Concerned with the quality of its products and the role of distributors and consumers in its quest for success, Tem-Sucre pays special attention to the bonds it builds with the various stakeholders involved. Food fairs, financial support of community and social causes, up‑to‑date web site and accessibility: these are just a few of the measures adopted by Tem-Sucre to dialogue with those behind its success.